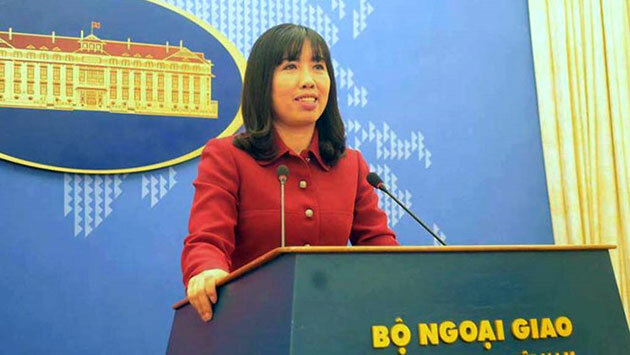 She replaces Le Hai Binh, who is now Deputy Director of the Diplomatic Academy of Vietnam. At the ministry’s regular press conference on March 30, Binh said this was the last press conference he chaired as the ministry’s spokesman. He also thanked journalists and press agencies for supporting and cooperating with the Press and Information Department, as well as with him. Incoming spokesperson Hang said she hopes the press will continue working with the Foreign Ministry in updating the world on information about Vietnam. She affirmed that she is open to the media’s opinions so as to serve the country as good as possible. Hang had worked at the Press and Information Department for nearly two decades before she became Minister Counsellor of the Vietnamese Embassy in the UK from 2012 to 2015. After finishing her tenure in the UK, Hang was chosen to be acting director and then director of the information and culture department under the ministry’s State Commission for Overseas Vietnamese Affairs./.